In the land of opportunity, one major question remains for those who seek to retire early: How will I pay for healthcare? The fate of the US healthcare system is always up in the air and it’s not clear what the future holds for those who retire before they’re eligible for Medicare. Some FIRE devotees have decades to wait before they qualify, which means decades to decide how to fund their healthcare expenses without spending their entire nest egg. Fortunately, there is a way to save for healthcare while also getting a huge break on your taxes: The Health Savings Account or HSA. Read on to see why an HSA might be right for you. An HSA is a special account solely designed for medical expenses. Stashing money away in an HSA lets you save for medical bills so you’re ready in case of surgery, an expensive procedure or an unforeseen injury. HSAs can only be used for qualified medical expenses which are wide-ranging and include prescriptions, dental and vision costs, chiropractors, and more. Non-qualified expenses include insurance premiums, cosmetic procedures and over-the-counter drugs. Like IRAs or 401ks, there is an annual contribution limit for HSAs, currently at $3,450 for individuals and $6,900 for families. The limit increases every year with inflation. Like IRAs, savers 55 and older can put an extra $1,000 in their HSA every year. You need to have a high-deductible insurance plan to qualify for an HSA with a minimum deductible of $1,350 for individuals and $2,700 for families and an out-of-pocket max of $6,650 for individuals and $13,000 for families. These restrictions also change every year. Unlike Flex Spending Accounts (FSA), funds in an HSA roll over from year to year and you can use HSA money tax-free even if you no longer have an HSA-eligible insurance plan. As long as you contributed the money while you were eligible, you can use an HSA at any point. There is no income restriction for HSA users like there is for Roth IRAs. You can even leave behind an HSA for your heirs when you die, though anyone besides a spouse will have to pay income tax. What Are The Tax Benefits Of An HSA? HSAs combine the benefits of both traditional and Roth IRAs and have three tax benefits. Contributions to an HSA are tax-deductible and decrease your taxable income. When you put money in an HSA, you lower the amount of taxes you pay. HSAs are also not taxed and many HSA providers allow customers to invest the funds in their HSA once they have $2,000 in their account. If you have less than $2,000 in your HSA, you’ll earn interest at a similar rate to regular savings accounts. Withdrawals from an HSA are also tax-free unless they’re used on non-medical expenses. If you use HSA money for a non-qualified expense, you’ll also be assessed a 20% penalty on top of income tax. If you’re 65 and older, you’ll only pay income tax on non-qualified medical expenses. After maxing out your IRA and 401k, the HSA is your best tax-free savings vehicle. It’s the only account that doesn’t tax contributions, earnings or withdrawals and if you pick an HSA with the right company, you’ll have access to a huge swatch of ETFs and other funds. A common strategy for FIRE folks is to pay for medical expenses with a regular bank account, save the receipts and then withdraw money from an HSA once they retire. As long as you have proof of qualified expenses, you can get reimbursed anytime, even years later. Here’s a scenario. Phil and Joyce have a high-deductible insurance plan that’s HSA-eligible. They save the maximum amount every year and pay for medical bills out of pocket with their checking account. Phil and Joyce retire at 45, but they’re not eligible for social security for at least 17 more years. They also have to wait 14 years to withdraw money from their IRA and 401k without paying a 10% penalty. This means they need a way to pay for expenses without incurring excessive fees. Enter the HSA. Because Phil and Joyce always used their bank account for health expenses, their HSA has enough money to cover their cost of living. They can withdraw money from their HSA tax-free and penalty-free because they’ll use their medical receipts to reimburse themselves. The rising cost of healthcare is another reason why early retirees love HSAs. Their only options for medical insurance are marketplace-sponsored plans or healthcare ministries. Exchange-based insurance and private premiums increased 25% from 2015 to 2017 and many insurers are dropping out of the marketplace. Until they become eligible for Medicare, paying for health insurance is a big question mark for the financially independent. Enter HSAs. Having a savings account specifically set aside for medical bills is one more way to ease the burden of healthcare. Even though retirees can plan ahead for housing, transportation and other major line items, they can’t decrease their healthcare costs without foregoing it or avoiding a doctor. If you don’t have health insurance available through your workplace, you can open an HSA with any company you want. Like bank accounts, HSAs have their own fee structures and fund offerings. Compare HSA providers carefully before choosing one so you’re not paying unnecessary fees. I have open enrollment right now, what would be the downfall if we max out to $6900 for my family? Excellent article. The number of people that either don’t know about this or chose not to use is staggering. Tips like this are priceless and always appreciated. 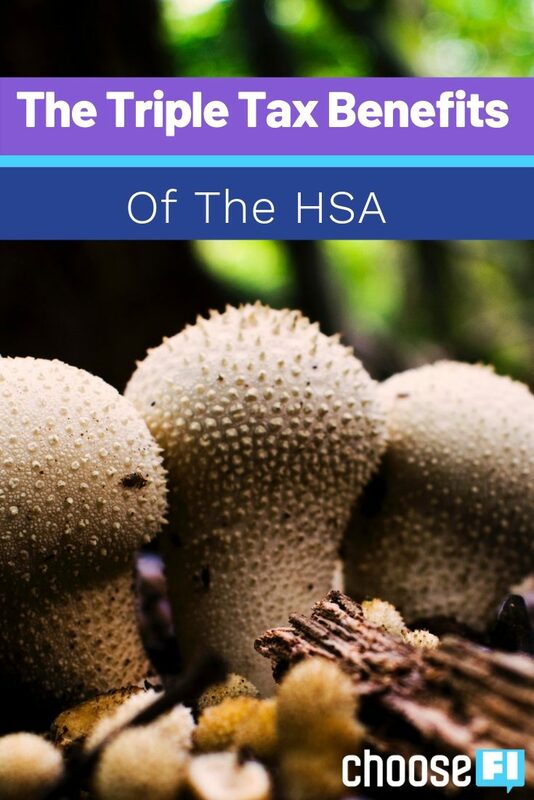 I realized that just having an HSA doesn’t mean it is invested. I have an HSA via Connect Your Care, there is an option to “invest” your money with TD Ameritrade. It asks that you transfer money, does this stay on the non-taxable side? Like if I transfer money from my HSA account to TD Ameritrade in order to invest, is that a taxable event? Also, how much can I transfer? Connect Your Care makes it appear that you can only transfer funds from the previous year. Anyone know? I transfer funds in my HSA and there is no taxable event. The only time you would have a taxable event is if you withdraw the money for an unqualified reason. So many people don’t know about HSAs, so thank you for sharing. It’s always wise to keep up with the latest tax rules, contribution limits, etc. In the same realm as HSAs is the movement behind medical tourism. I had some experience with it earlier this year and I wrote a little thing about it. I hope you find it useful/interesting! Depending on your life situation, it sounds like HSA funds underperform even inflation, that money might be better served invested elsewhere. There are so many assumptions in this article that are just not true. My HSA plan actually has more choices than the 401k. The article is written by a financial planning company that you can also invest with so it is no wonder that they want to steer you towards a taxable account. There is an inaccuracy in the post. It states that you need a minimum of $2000 in your HSA to invest but this is not true. My company’s HSA allows us to invest over $1000. It must depend on how the plan specifics are written by each company. I have open enrollment right now, what would be the downfall if we max out to $12900 for my family?